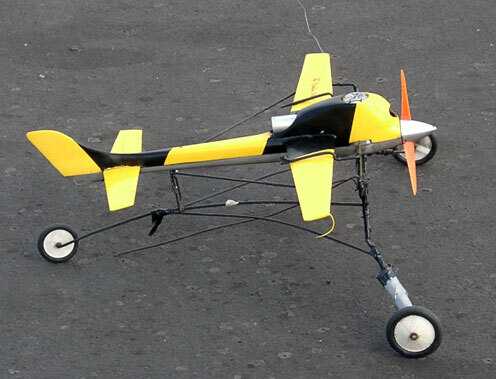 Every two years, the Academy of Model Aeronautics' various competition boards consider proposals for rules changes or additions. There are separate boards for control-line Aerobatics, Combat, Navy Carrier, Racing and Speed. In 2010, the boards for Aerobatics, Combat and Speed approved changes for the 2011-12 rulebook. There were no national changes for Navy Carrier or Racing. Below are reports from our District XI representatives on the various boards outlining the changes that have been approved. There's also a note from the Carrier representative about a new Northwest event. The final rules for 2011-12 will be posted as pdf documents for download from the AMA website as soon as all the final revisions are made to the documents. Go to the Academy of Model Aeronatics website and navigate to the competition regulations section. CLA 11-1-2: Gleason - Paragraph 14.37.3 - Refine Judges' guide on landing discussion on "smooth" descent. CLA 11-2: Helmick - Skill Class Paragraph 5 - Correct errors for the Beginners' pattern that were made when the AMA printed this rulebook. CLA 11-3: Rush - Control Line General Paragraph 9 - Better define penalty and increase the penalty for a "foul." CLA 11-5: Trostle - New paragraph 11.2 - Explain that maneuver descriptions have precedence over maneuver diagrams. CLA 11-6: Trostle - Paragraph 13.6 - Remove incorrect/inappropriate word "sized" in description for inside square loops because the four sides are not equal size. CLA 11-7: Trostle - Paragraph 13.7 - Revise outside square loop description to parallel the correct description of the inside square loops. CLA 11-8: Trostle - Paragraph 13.14 - Delete wording on the four leaf clover diagram that specifies return to "normal level upright flight." CLA 11-9: Trostle - Paragraph 13.15, landing description errors - Delete "eligibility for pattern points" and add "eligibility for landing points." CLA 11-10: Trostle - Sample Score Sheet - Add "10 - 40" for the Horizontal Square Eights point range. CLA 11-11: Trostle - Skill Class Paragraph 5 - Correct Beginners sample score sheet to show "Two Horizontal Eights" instead of "Two Horizontal Square Eights" to correct an AMA error when this rule book was published. CLA 11-12: Trostle - Skill Class Paragraph 4 - Delete "Flight pattern points 0 - 25" at the bottom of the list of the Beginners pattern. CLA 11-13: Trostle - Skill Class Paragraph 5.1 - Change point range for the Landing on the Beginners sample score sheet from "1 - 40" to 0 - 40." CLA 11-14: Trostle - Skill Class Paragraph 9 - Delete words entirely in current Paragraph 9 and insert "See Paragraph 11. Execution of Maneuvers in the CLPA event." CLA 11-16: Trostle - Paragraph 11.1 - Change wording to require minimum of 2 1/2 laps prior to the Overhead Eights. CLA 11-17: Trostle - Pull test and line size chart - Correct long standing error for the listed metric diameters for multi-strand 2-line controls. CLA 11-18: Trostle - Pull test and line size chart - Revise weight categories for the given line sizes. CLA 11-19: Trostle - Paragraph 7 - Follow rulebook editing convention to show written numbers with parenthetical numeric numbers. 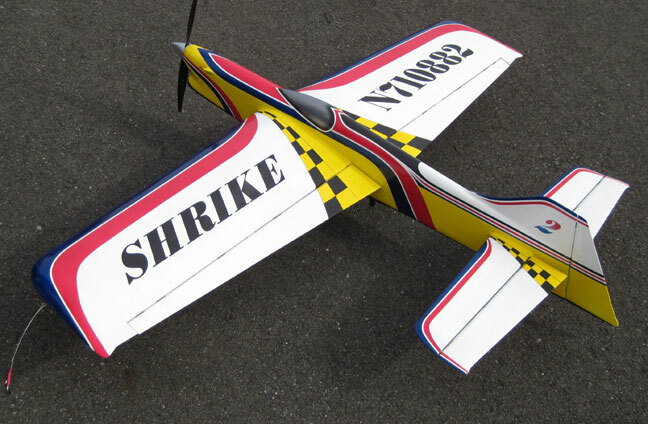 CLA 11-20: Trostle - Paragraph 9.3 - Change "Control Line Contest Board" to "Control Line Aerobatics Contest Board." CLA 11-21: Trostle - Paragraph 11 Delete last sentence "Flight Pattern Points are eliminated." CLA 11-25: Trostle - Paragraph 11.1 - Delete sentence "All fliers shall attempt to perform maneuvers of approximately the same angular dimensions." CLA 11-26: Buck - Numerous Paragraphs will be affected by this - The proposal is to remove the 5 foot corner radius specification so that "turns shall be of a tight radius". Brett's proposal gives a complete listing of the affected paragraphs. CLA 11-27: Buck - Paragraph 11.1 - Clarify the 2 lap requirement between maneuvers . CLA 11-28: Buck - Paragraph 11.1 - Explain that performance of one maneuver does NOT establish parameters of another. CLA 11-29: Buck - Paragraph 14.1 - Clarifies purpose of the Judges' Guide. CLA 11-30: Buck - Paragraph 14.17 - Removes the + - 1/8 lap restriction on judges movement during a flight. CLA 11-31: Buck - Paragraph 14.14 - Removes the restriction on judges not to discuss scores during the warm-up flights Paragraph 9 will also need to be changed. CLA 11-32: Buck - Paragraph 11.1 - Define altitude reference for level flight. CLA 11-33: Buck - Paragraph 11.1 - Define level flight as a horizontal plane. CLA 11-34: Buck - Paragraph 11 - Return the pattern point rules from the 2007-2008 rulebook. There are a few other paragraphs now in the rulebook that will need to be adjusted to make this complete. And, if this passes, some of the previous proposals that I made to correctly recognize the elimination of pattern points in the current rulebook can be deleted. CLA 11-35: Buck - Paragraph 2.1 - Revise emphasis only on age classification at contests. CLA 11-36: Buck - Paragraph 14.7.2 - Remove reference to "Sporting Code" in the Judges' Guide. This term is a holdover from when the FAI Guide was adopted into our rules. The proposal also eliminates the unnecessary/inappropriate word "nil." CLA 11-37: Buck - Paragraph 11 - Explicitly allow warm up maneuvers before the initiation of an official flight. CLA 11-38: Buck - Paragraph 13 - Clarify use of wind arrows in the maneuver diagrams. 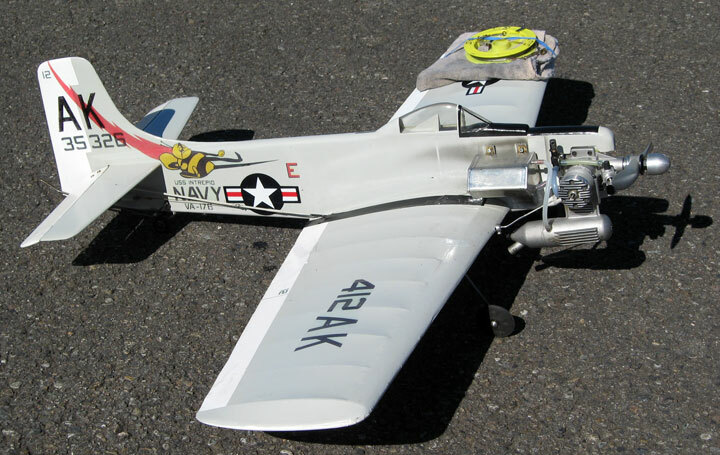 CLA 11-39: Delaney - In the General Information section of the rulebook, page 10 on Builder of the Model, delete the specific wording on CL Aerobatics BOM definition. Then in the CLPA rules, add a new paragraph 2.2 that defines the BOM as the contestant who completes at least 51% of the effort to complete the model. CLA Cross Proposal 1: Adds Paragraph 11.2 (from 2007-2009 Rulebook) to define how to score Attempted/Incomplete Maneuvers which is needed if pattern points are returned to the rulebook per CLA 11-34. If CLA 11-34 does not pass the Final Vote, then this Cross Proposal is withdrawn. If CLA 11-34 does pass the Final Vote, then basic proposals CLA 11-9, CLA 11-12, CLA 11-14 and CLA 11-21 should be withdrawn. CLA Cross Proposal 2: Eliminate reference to pattern points in the current Beginners skill section of the rulebook to agree with the rest of the rulebook which does not include pattern points. If CLA 11-34 does not pass the Final Vote, then this Cross Proposal applies. If CLA 11-34 does pass the Final Vote, then this Cross Proposal should be withdrawn. CLA Cross Proposal 3: Revises the weight categories on the CLPA line size and pull test chart for given line sizes with adequate safety margins. For a complete list of Aerobatics board votes on all the proposals see CLACB vote summary. CLC 11-1 submitted by Louise Lopez, passed 7/4 with a percentage of 64%. Para 3.0 Equipment. All lines used to control flights shall be steel music wire or metal of equivalent strength, or braided cables made from braided gel-spun ultrahigh molecular weight poly-ethylene (GSUMP) of the same nominal diameter specified in the pull test table. Spectra lines that have been formed into a single solid strand (called Fusion or similar names) are not allowed because they are much more likely to break when the lines are stressed suddenly. Gel spun braided lines (Spectra(tm) may be terminated two ways. The first is to fold the line back against itself and tie the loop in a double overhand knot by forming a loop with the doubled line and passing the folded end through the loop twice (surgeon's knot). Lubricate the line with water or saliva to assist in pulling it smoothly tight. To terminate lines using line clips the line should be tied to the clip using a half blood knot or a "Palomar" knot. To tie a half blood knot loop the line through the clip, wrap the line around the standing end 5-6 times and bring the free end back through the loop on the line clip. Lubricate the knot with water or saliva and pull tight smoothly. To tie a Palomar knot, fold the line back on itself about 4 inches. Thread the fold through the line clip loop. Wrap the folded line in an overhand knot and pull the fold over the free end of the line clip. Lubricate the line with saliva and pull on the doubled line to pull the knot smoothly tight. The use of GSUMP lines has the potential to increase safety in our Hobby/Sport, more than any other rule. Even more that the shutoff rule did more than a decade ago. Carbon fiber is without question stronger than steel, is self lubricating in a line tangle, has one forth the mass of steel, does not kink, twist, and has virtually no memory, so there will be no twisty lines from a line tangle. My tests have proven to me, that kinks, and twists, reduce the strength of the stainless steel lines by more than one half. Since the GSUMP is not susceptible to these problems, it is stronger, and safer. This rules change has now passed the combat board for the second consecutive rules cycle. However, it is now held up, by the safety board (chaired by District VIII VP, Jim Rice). The rule is caught in a catch 22 with the safety board wanting data to show that the GSUMP lines are as good as stainless steel. While they (the safety board) are unwilling to undertake said test, or furnish a standard for the stainless lines, by which to compare the GSUMP lines to. After exhaustive research I found that the current stranded stainless steel lines do not meet the current control line general rules, spelled out in rule 5 or 6, these (rules) call for metal lines of equivalent strength to Music Wire. All of the stranded lines now in use are approximately half the strength of Music Wire, however, the GSUMP lines are in fact as strong as Music Wire; and are therefore more safe than the Stainless Steel stranded wire, we currently use. In the last rules cycle, data was submitted to the then technical director Steve Kulif, and he did not pass this data to the rules board, and in the intervening time his job was taken over by Greg Hahn. Phil Cartier has furnished the same data to Greg Hahn, but there has been no news of what has happened to that data, this time. My attempts to contact the chair of the safety board, Jim Rice, have gone unanswered, and this has left me feeling as though this issue is being handled in something of an unprofessional manner by the safety board. So basically we are stuck on this proposal until the safety board (made up of all RC modelers) makes some kind of decision. Changes Paragraph 7.2 to read: 7.2 Engine Shutoff. The competitor shall be solely responsible for the function of the fuel shutoff device. In the event a shutoff does not shut the engine off within the three 3 second limit, the competitor will be disqualified from the combat event in question. If it can be shown that the shutoff device was damaged by midair collision, then the competitor will not be disqualified. This is in essence the same failed rules change I proposed for 80mph combat last year. I feel pretty strongly about this change. 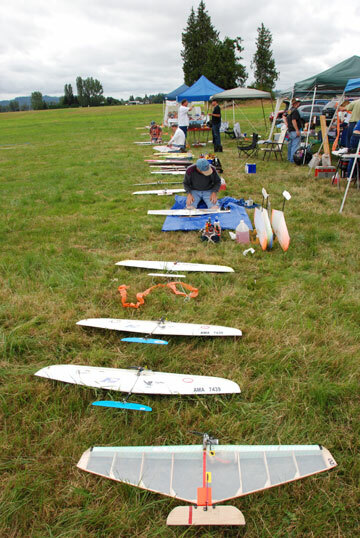 What had evolved here in the Northwest was: Planes were put on the field, shut-offs tested, match flown. This was the routine, and it was just fine, until there was a problem with one or both shut-off devices at the test. Contest management, not wanting to offend anyone would give the competitor in question, time to fix the faulty device, and then a second test was performed. Well, in effect contest management was granting favor to the competitor with the non functioning device, by granting them more time, to prepare for the match. Second, there was no way to know if the test had any validity at all, because virtually every fly-away, where the shut off failed, had passed the ground test, and been certified by contest management to be working! Further, the rules did not asses a clear penalty for the competitor whose shutoff failed. It is high time that competitors in Combat were held accountable for the quality of their equipment and this rules change moves in the right direction. To the 1/2A line length chart make the following changes, event 330, 42', +/-3; Low performance 1/2A Combat, 35' +/-3. Delete paragraph 3.4 from page CLB-2. Insert paragraph 6 to page CLB-8; Engine starters are permitted in 1/2A Combat. Change paragraph 2 on page CLB-8 to: Streamer length is 60. Width for regular event 330 is 3/4". For Low Performance, 1/2". Basically what this rule has done is create a new Low Performance combat event, and separate it from the current high performance event. Some have voiced concern about the requirement for a suction fed engine in the Low Performance event, but in general I think this is a well thought out event. So, now the duffers that show up out at the flying field, with Tee Dee powered board wing aircraft, can actually fly them in an AMA combat event. Sound good to me. No AMA rules changes were approved in this cycle. However, in the Northwest, Navy Carrier this year will feature a new event, "NW Sport 40 Carrier." The goal of this event is to kind of level the field by using only the OS 40fp engine.I also decided to make the use of a stock muffler mandatoy.We have passed up many chances to set up the deck and fly carrier because of muffler requirements at the site. Also to make it little easier for the entry level flyer the lead outs must not be movable in flight . I hope this entry level event will encourage flyers that have not flown this event to give it a try. I will be writing an article or two soon about how to build a basic airplane for this event. The rules are posted on the Flying Lines NW Rules page. The year 2010 ends another AMA rules cycle, therefore 2011 begins another. There were a total of 17 CL Speed rules proposals for the next cycle, and all of them passed. They will be described here, the italicized text (if applicable) will be the actual new rule followed by a brief explanation and any comments that I might have. CLS-11-01 -- The times from three watches shall be totaled. The total of the watches will be divided by three. All results will be truncated to three decimal places. The resulting number will then be used in the correct formula for the event to arrive at the flight speed. This ensures consistency in the speed calculation, eliminating variations in rounding. CLS-11-02 -- Delete the charts from the rule book. All speeds will be calculated by using the formulas that will be added to the rule book. There are some errors in the rulebook speed charts, plus accuracy is only to one-hundredth placing. CLS-11-03 -- 21 Proto Speed Design (8) Judging Requirement and Point system: Delete the requirement. (This means no more appearance points in the event - I voted against this one). CLS-11-04 -- A pilot acting as a designated pilot for other contestants shall at the start of the contest perform a pulltest equal to the pull of the heaviest model he will fly during the contest. The owner of a model or a person he designates will pull test the model before each flight. This rule allows the designated pilot to demonstrate their ability, without the added stress of pulltesting every plane. CLS-11-05 -- For 1/2 A Proto Event: Models must have the engine piston and cylinder parallel with the wing and the top of the cylinder facing the outside of the circle. This rule will standardize airframe layout. Radial mounted engines are still allowed, but then are not allowed to have the cylinder in line with the fuselage. CLS-11-06 -- For 1/2 A Proto Event: The control system, consisting of leadouts (if used), bellcrank, pushrod and control horn will be totally exposed and external to normal airplane contours. The leadout wires (or flight wires if no leadouts are used) will not be recessed into the wing, the pushrod will not be mounted inside the fuselage, nor will the bellcrank be allowed to be mounted or hidden inside the wing or fuselage. The leadout tip guides may be inset into the wing but should not be more than 1/4 inch in length. The entire control system as defined above must be visible when the model is viewed in plan view from top and/or bottom with the controls in neutral. This clarifies (finally!) the exact requirements for the external control system. CLS-11-07 -- For 1/2 A Proto Event: Minimum fuselage length shall be 12 inches from the face of the prop drive surface to the end of the fuselage when viewed 90 degrees to the side of the profile fuselage. Serves to clarify how this measurement is made, particularly with radial mount engines. CLS-11-08 -- For 1/2 A Proto Event: The complete model with the exception of the engine, tank, bellcrank and landing gear must be finished with an opaque paint. The model may also be colorfully trimmed. Clear or tinted finishes that show the color of the construction material are not allowed. Self-explanatory. I voted against this proposal. CLS-11-09 -- For .21 Proto Event, regarding 21 Proto Speed Design (2) Prefix AMA number with 'N' for USA. Delete the requirement. Self-explanatory. CLS-11-10 -- For 21 Proto Event: The complete model with the exception of the landing gear, engine and pan must be finished with an opaque paint. The model may also be colorfully trimmed. Clear or tinted finishes that show the color of the construction material are not allowed. Self-explanatory. I voted against this proposal. CLS-11-11-- 7. Fuel for Jet engines shall consist of 80% methanol and 20% nitromethane. This rule was already a done deal earlier in year through an emergency proposal.  This changes the rule from three to two laps in pylon before timing begins. CLS-11-13 -- Change paragraph 12.2 to To compute the speed in miles per hour for 1/2 A Speed, use the formula: MPH = 1016.78 / average time in seconds. Change paragraph 12.3 to To compute the speed in miles per hour for A Speed, use the formula: MPH = 1670.76 / average time in seconds. This makes slight correction in 1/2 A formula, and cleans up rules format in book. CLS-11-14 -- Add paragraph 12.4 to Page CLS 10 To compute the speed in miles per hour for 1/2 A Proto Speed, B Speed, D Speed and Jet Speed use the formula: MPH = 1799.28/time in seconds. Add paragraph 12.5 to Page CLS 10 To compute the speed in miles per hour for 21 Proto Speed and Formula 40 Speed use the formula: MPH = 3598.56/time in seconds. This adds the necessary formulas to the rule book with the deletion of the speed chart. Add paragraph 12.7 to Page CLS 10: The constants in paragraphs 12.2 through 12.5 on page CLS 10 are derived from the above formula. The Length in the above formula must be in exact feet. For example the line length for 1/2 A Speed must be 47.46875 feet. It can not be rounded to 47.47 feet. This establishes basis for speed calculation formulas, and makes consistent information between rulebook and record application form. CLS-11-16 -- 12. Scoring of Flights: The best official flight by each competitor in an event, in terms of miles per hour, shall be used for competition and record scoring. The average of the three (3) watches with no rounding of times shall be used for scoring. Records shall be recognized only when no more than .12 second variation exists between any of the three (3) watches. If the watches do not read within this required tolerance, and a record has been broken, the flier may request another attempt permitted. In the case when no record is broken, or if the flier does not elect to take another attempt, the average of the two (2) watches that are within .12 second of each other shall be taken for scoring purposes, disregarding the results of the third watch. If no two (2) of three (3) watches are within .12 second of each other the flier has the right to ask for another attempt, with the previous flight being cancelled, or to request that the average of the three (3) watches be used for scoring. This one is self-explanatory, the bold/italics are the only actual changes. Clarifies procedure and tightens up record requirements. CLS-11-17 -- Except as specified in 10.4., three official (3) timers, equipped with stopwatches having one-hundredth (1/100) second or finer graduations, shall time flights in unison from a point on the opposite side of the circle from the timing pole or marker. This clarifies that there must be three official watches, and not times taken from a pool of timers. As always, if you have any questions on any of this information please feel free to ask.